Why can't Australian cricket just play nice? 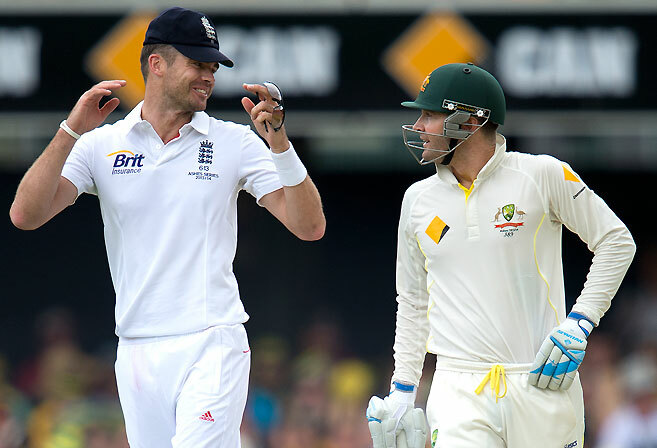 The Australian Test cricket side needs to address its petulant on-field behaviour before another series is tarnished. Casting a shadow over what was for the most part an enthralling second Ashes Test was the deteriorating relations between the two sides. At the heart of the matter has been reported sledging between opposing players stemming back to the first Test in Brisbane and loud noises emanating from the English camp that Australian players have crossed the line in this regard. Even with the advances of stump mic, it would normally be fraught to point the finger at one side of such a tête-à-tête from the comfort of one’s armchair. But the Australians have long ago lost any right to impartiality with such on-field antics having come to define the national team almost as much as the famed baggy green. The antagonism was originally introduced by ‘Captain Grumpy’, Allan Border as a desperate – and ultimately successful – means of ending the dark days of Australian cricket. It then morphed into Steve Waugh’s “mental disintegration” approach which boasted such willing attack dogs as Matthew Hayden and Shane Warne. It’s safe to say subsequent captains, Ricky Ponting and Michael Clarke did not attempt a rebrand. Along the way, Australia has been central to a number of ugly on-field spats and the subject of repeated claims of poor sportsmanship by opposition players centered around excessive sledging. And while it takes two to tango, it’s hard to shrug the feeling that Australian sides have often brought the worst out of their opponents. It came as little surprise then that former English gloveman, Matt Prior suggested this week that Australian sledging has been personal and that English players have been rightfully upset. Needless to say it’s not a good look, particularly for the kids. What’s more it’s very difficult to believe that excessive sledging is an essential accompaniment to winning Test cricket. In the current Australian team’s case, this is a learned behaviour rather than an instinctive edge. It’s often said aggression is rooted in fear. In this case, presumably fear of not winning. Well it’s time for Australian cricket – which has been largely defiant in the face of such criticism to date – to confront its demons and start winning or losing the right way.